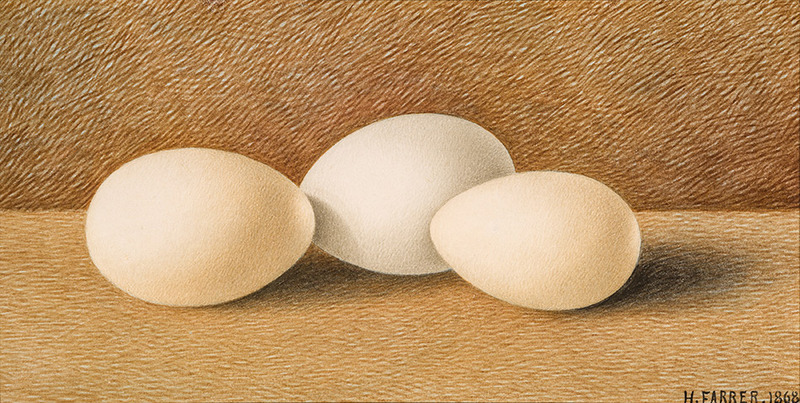 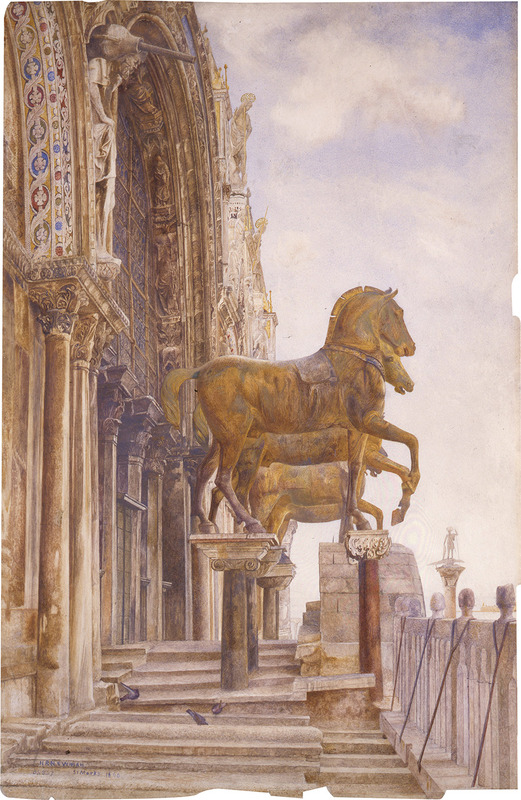 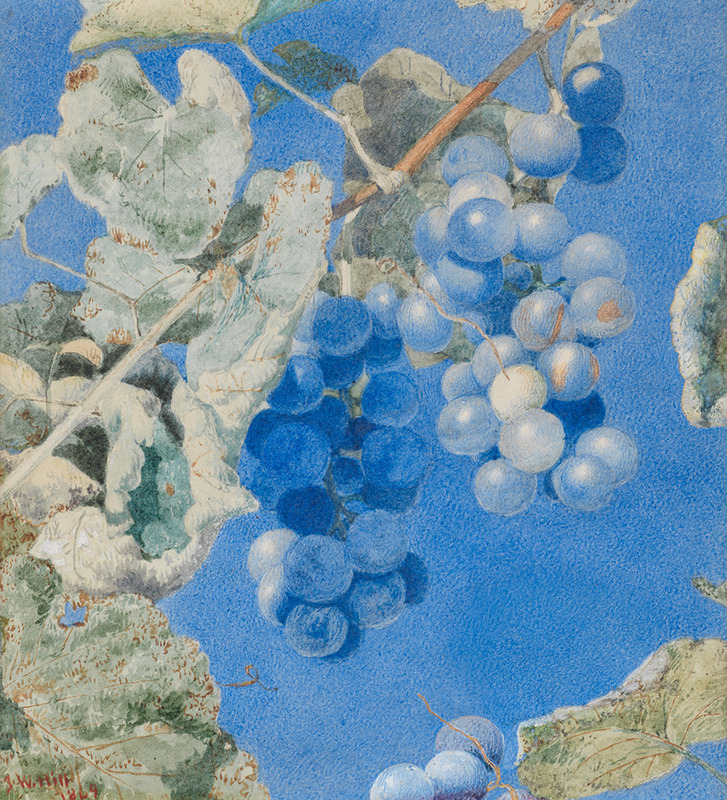 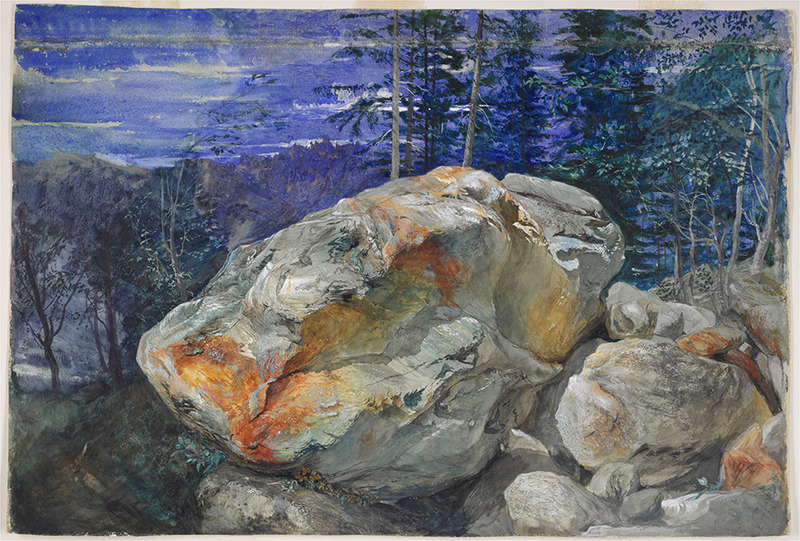 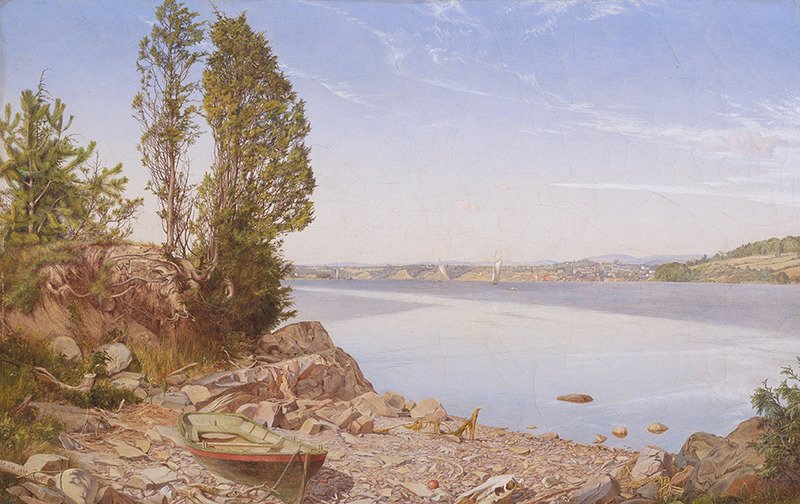 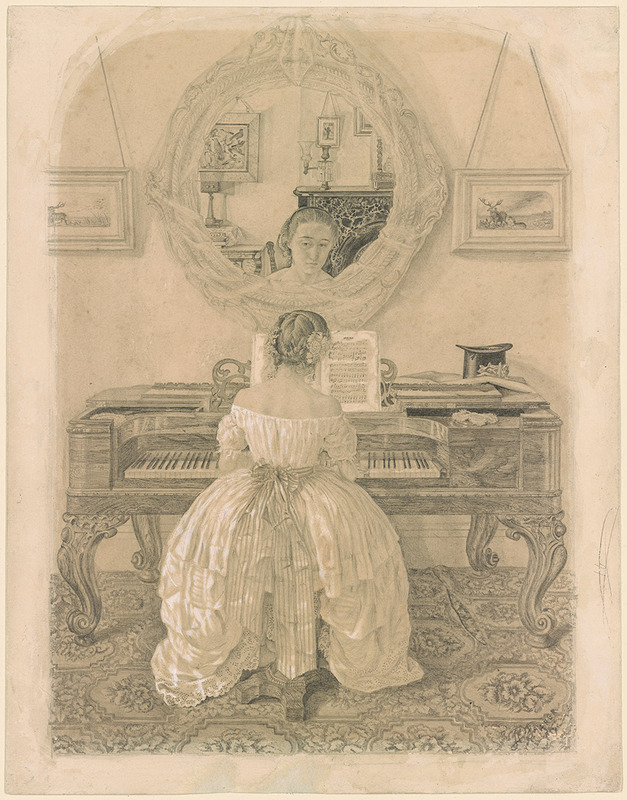 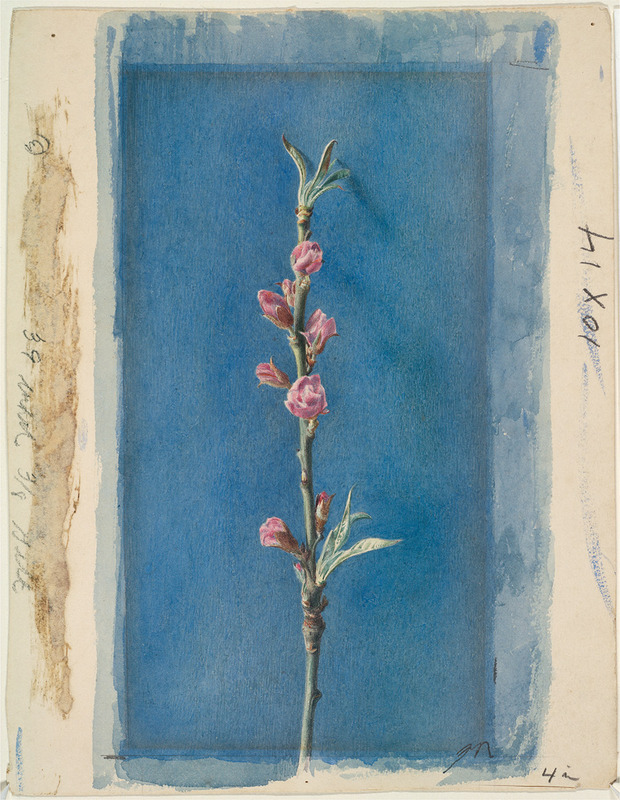 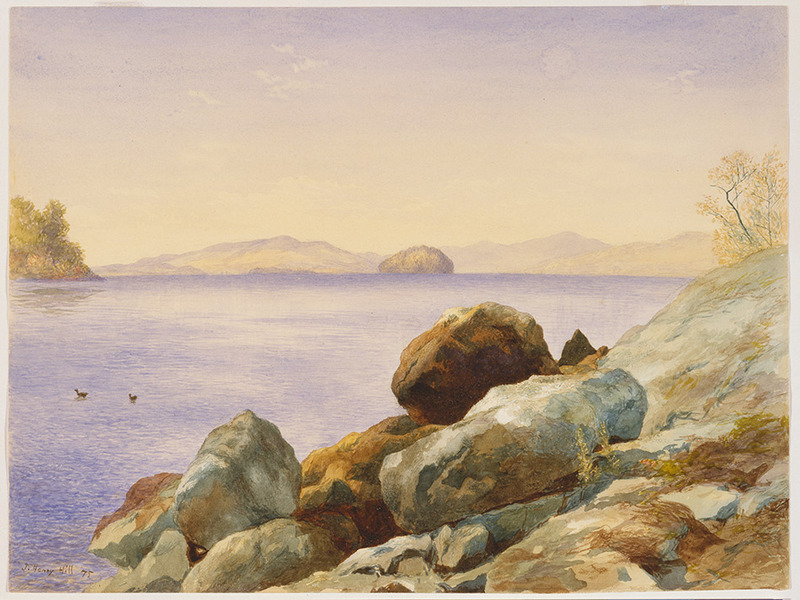 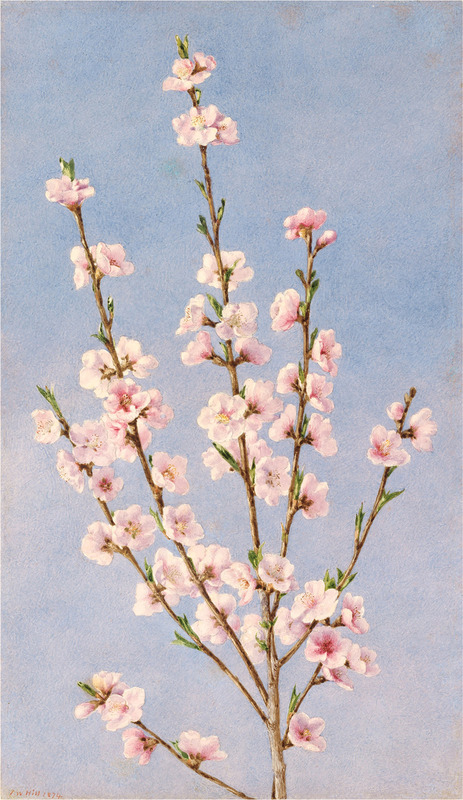 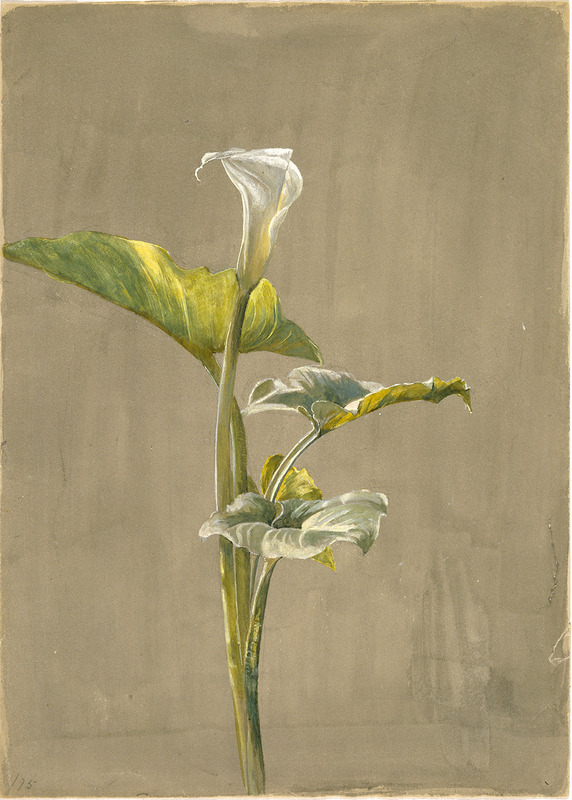 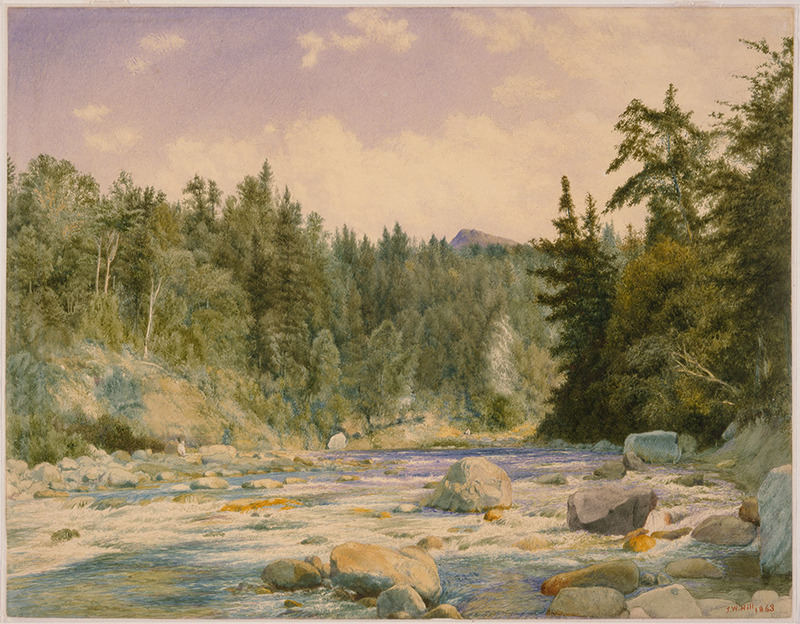 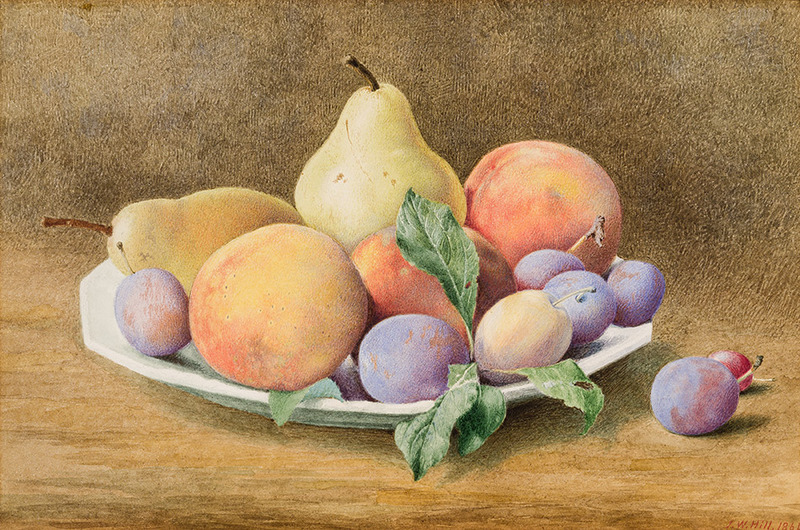 In celebration of the 200th anniversary of the birth of John Ruskin (1819–1900), the most influential art critic of the Victorian era, the National Gallery of Art will present more than 80 paintings, watercolors, drawings, and photographs created by American artists who were profoundly influenced by the renowned critic. 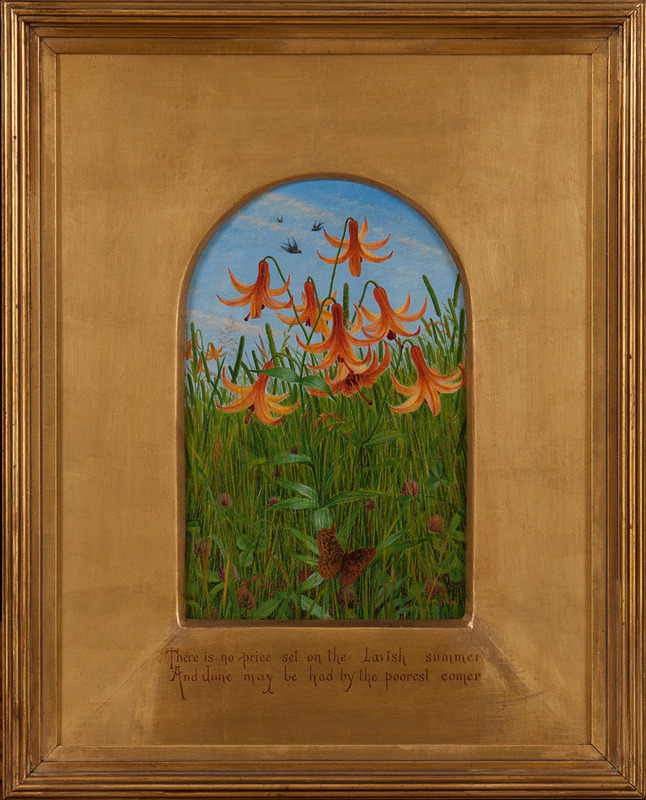 Ruskin’s call for a revolutionary change in the practice of art found a sympathetic audience in America among a group of like-minded artists, architects, scientists, critics, and collectors who organized the Association for the Advancement of Truth in Art. 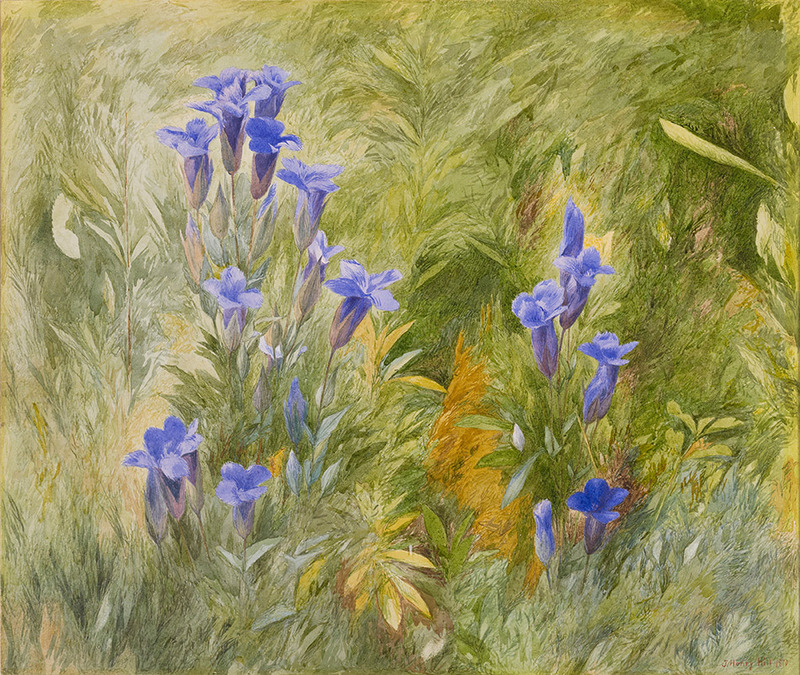 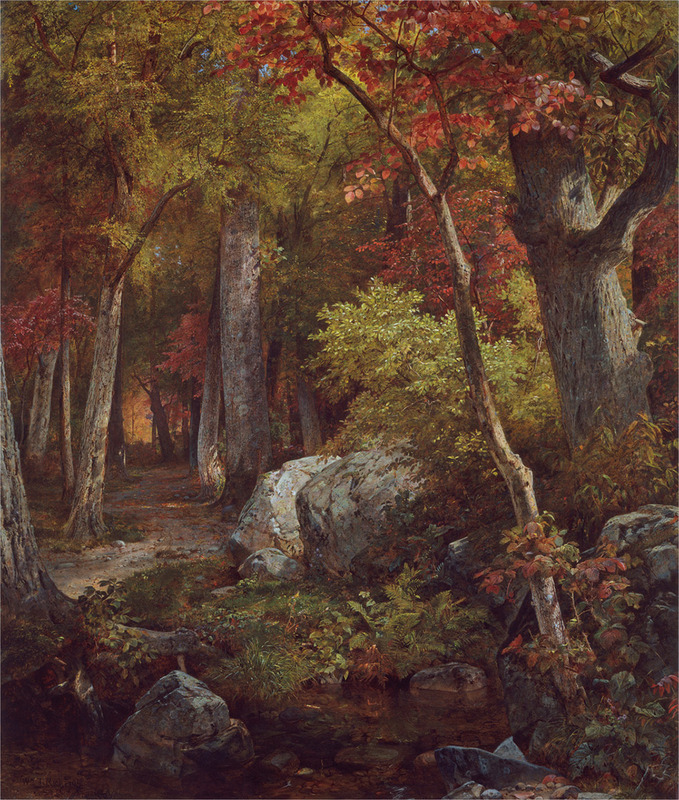 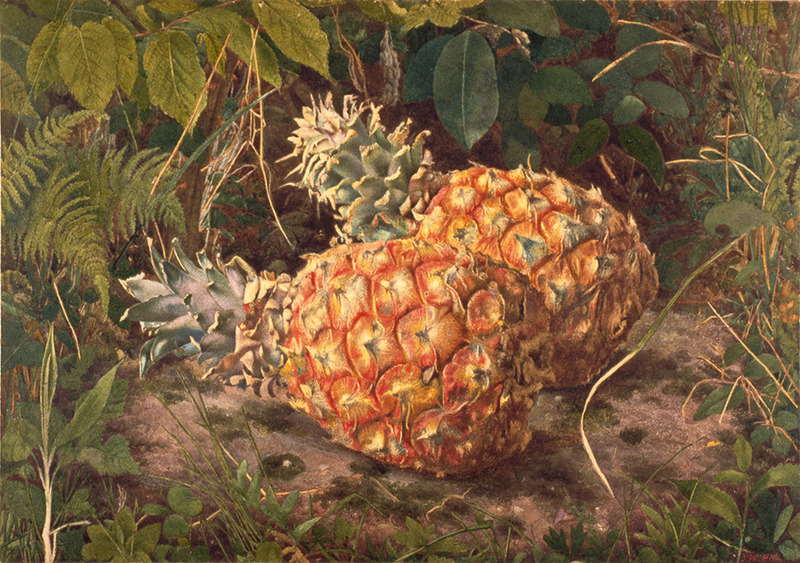 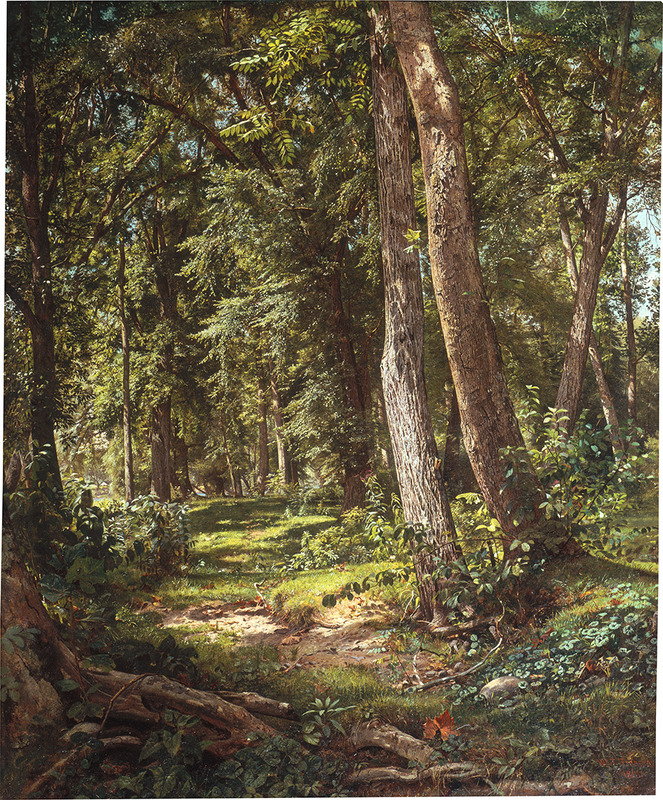 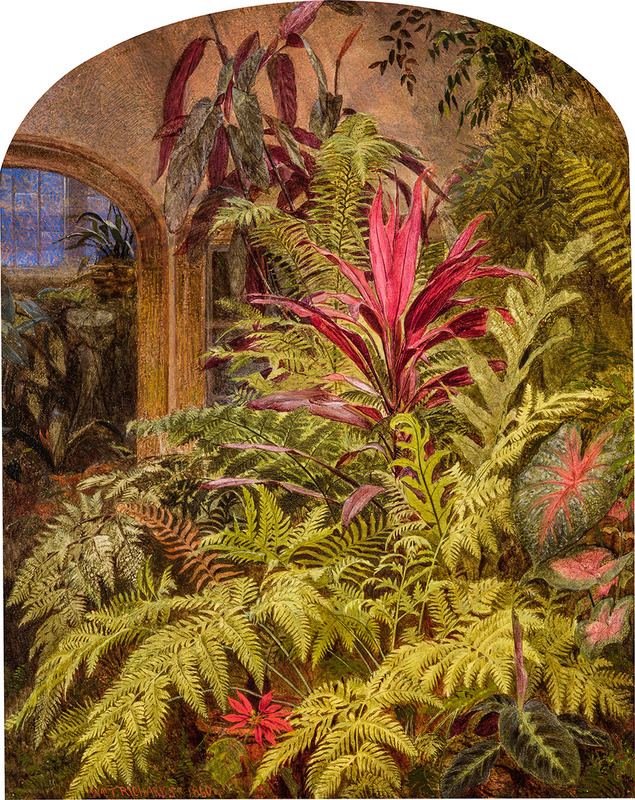 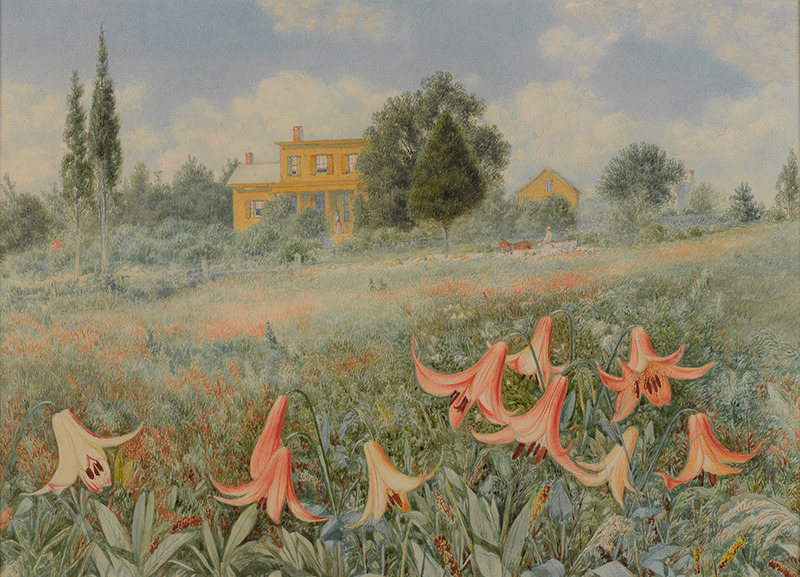 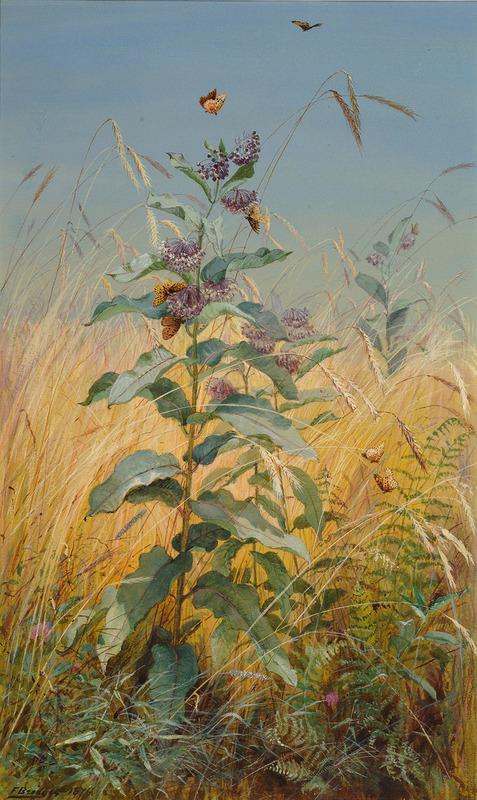 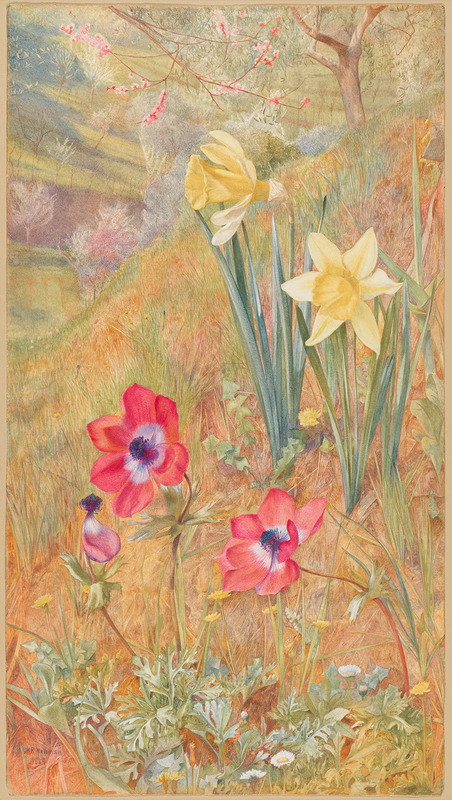 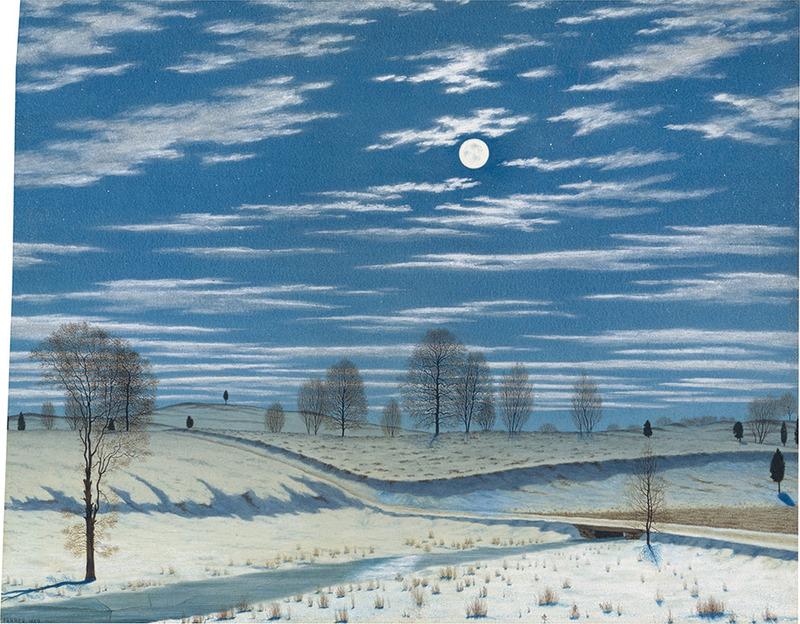 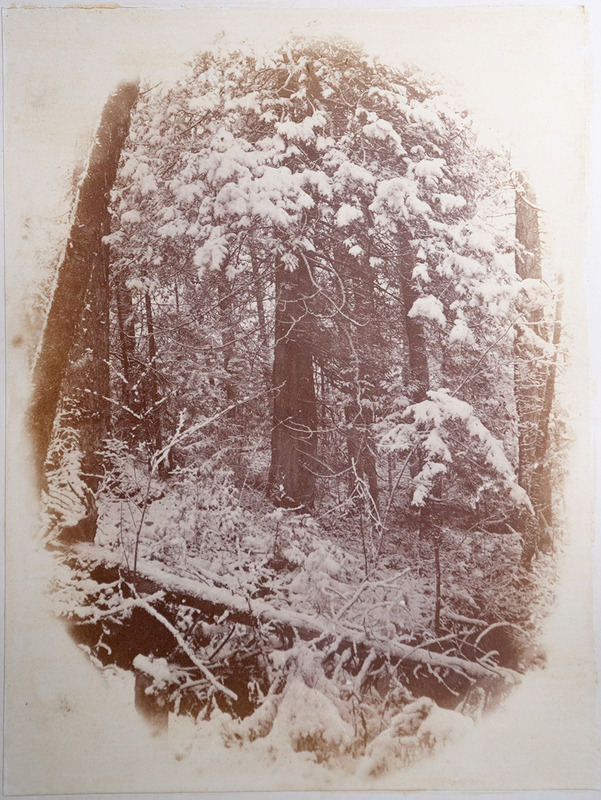 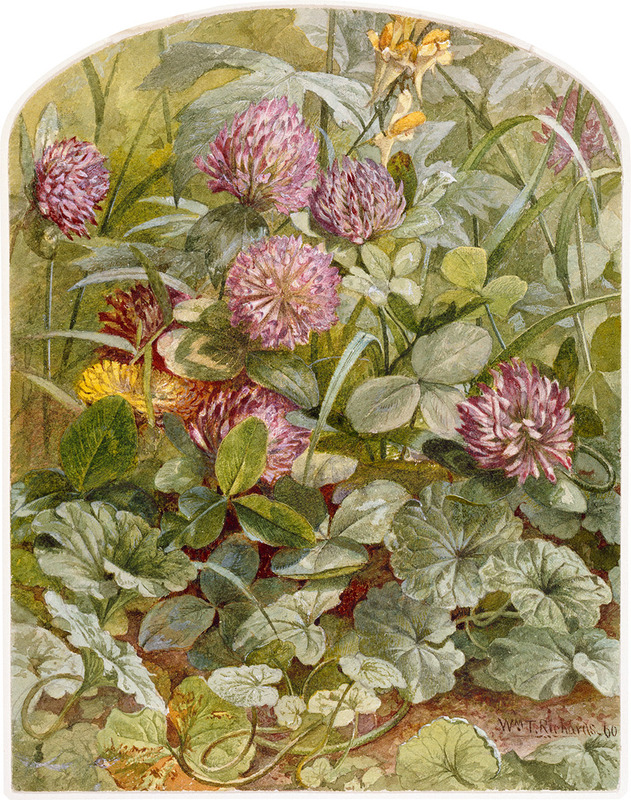 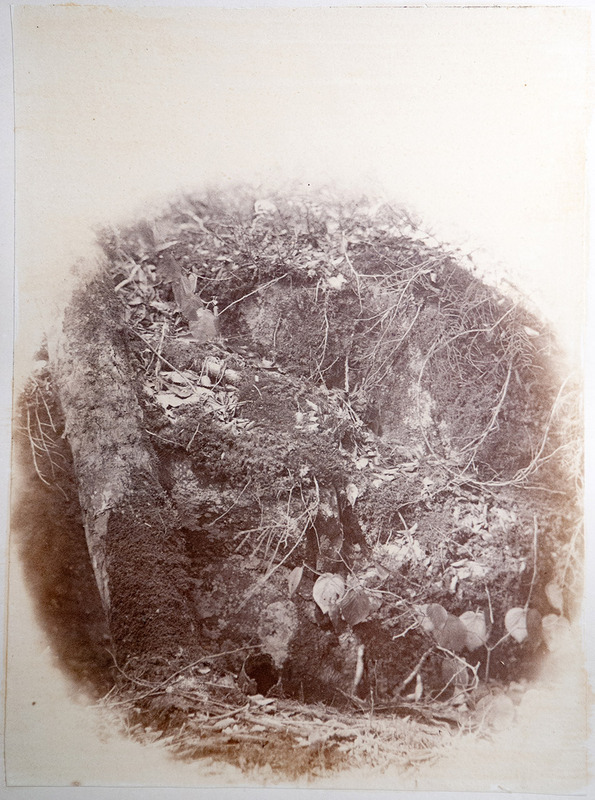 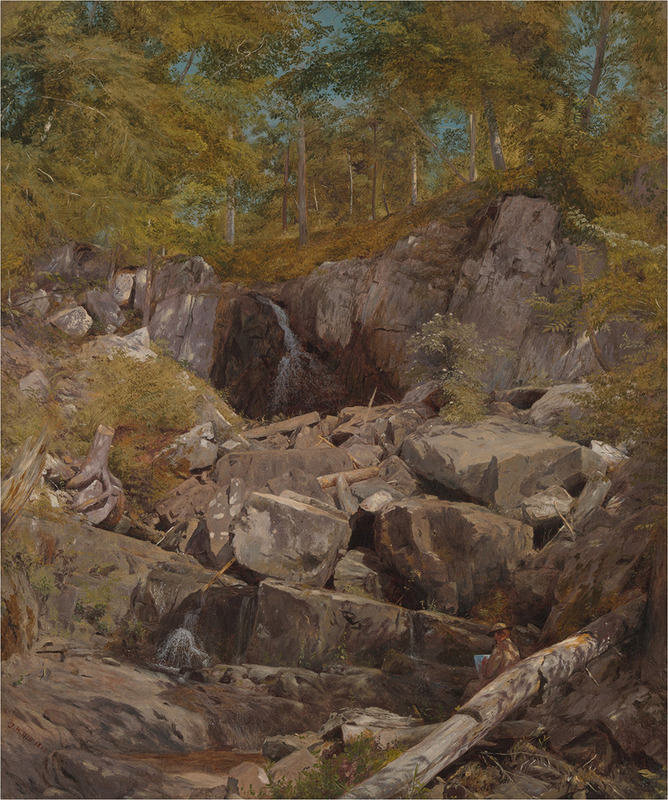 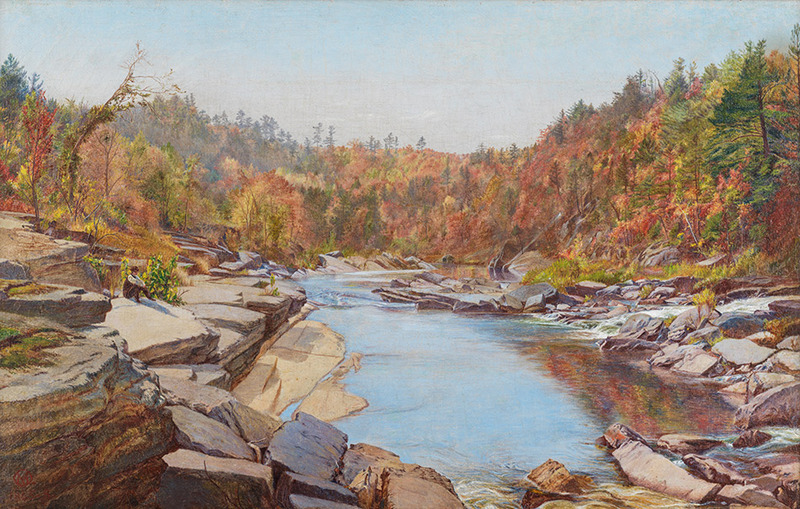 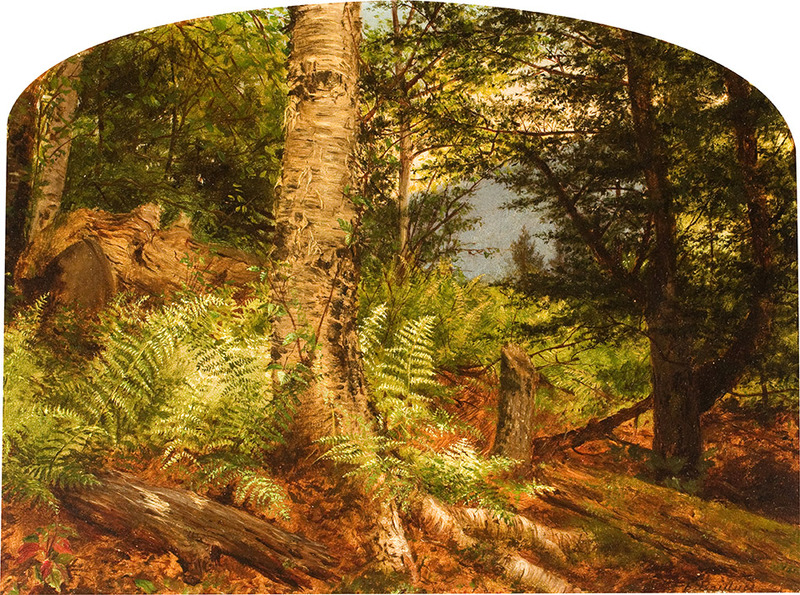 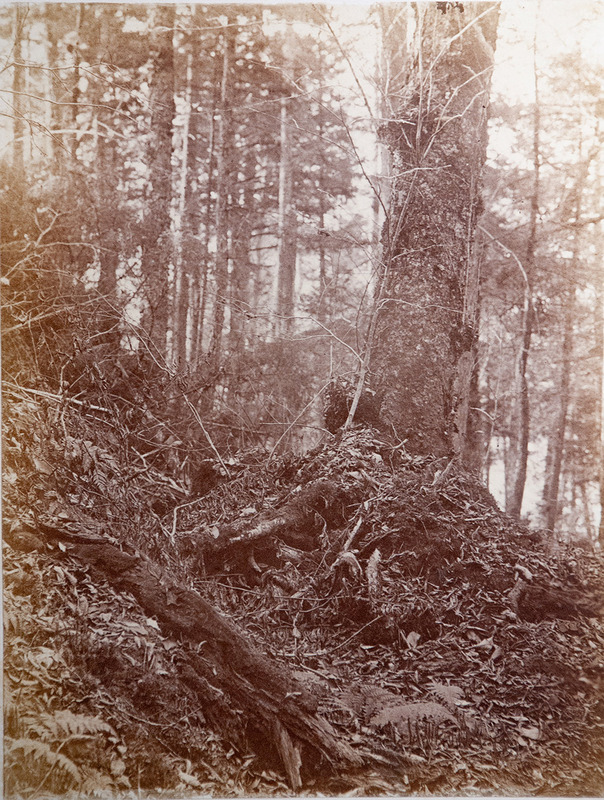 The Association members included artists who produced a remarkable number of stunningly beautiful works during the period when they were active members and paying strict attention to Ruskin’s admonition that they leave tradition behind, exit the studio, work outdoors, and reproduce nature’s “truth” with exacting detail. 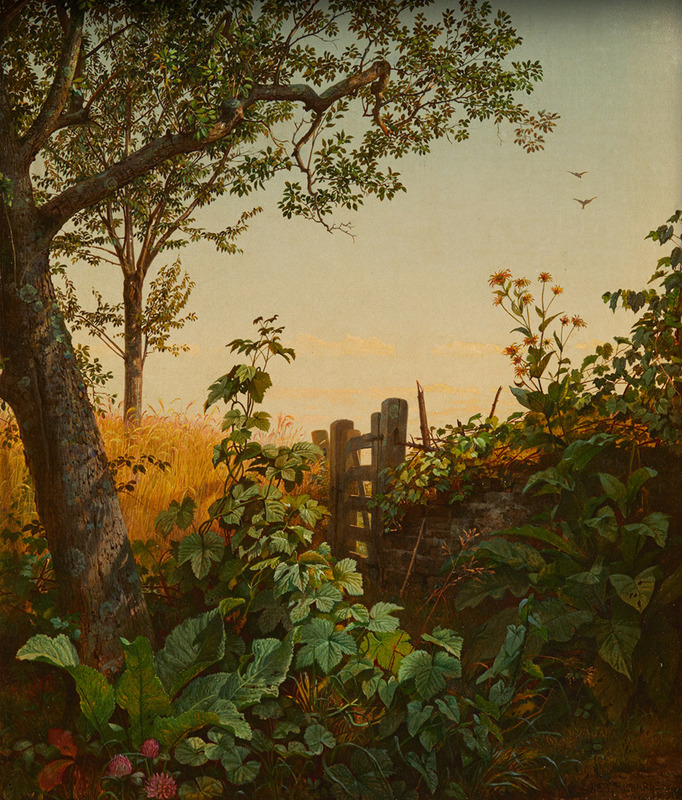 New research reveals that the members of the Association sought reform not only in the practice of art, but also in the broader political arena during the Civil War era, particularly in the debate about slavery. 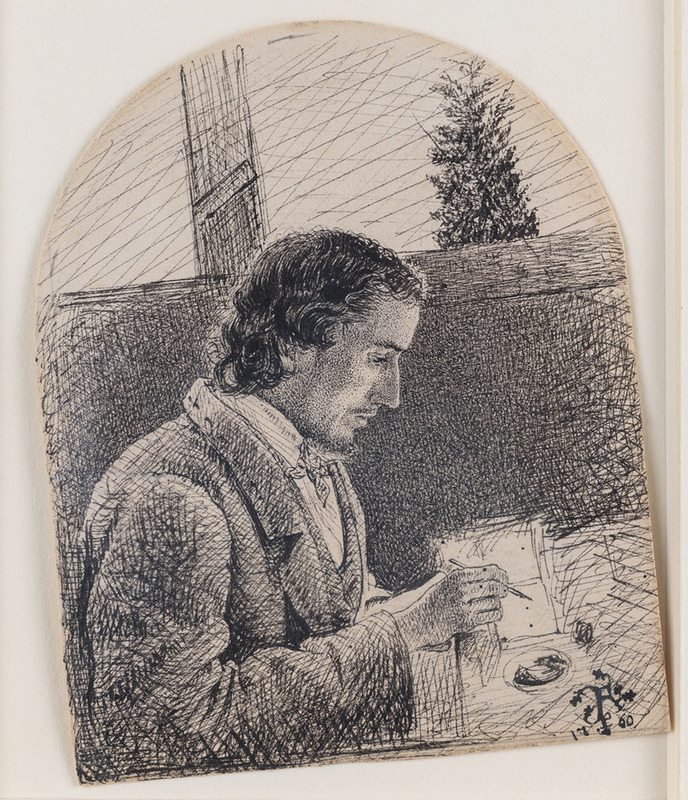 They were united by a patriotic commitment to the preservation of the Union and the abolition of slavery. 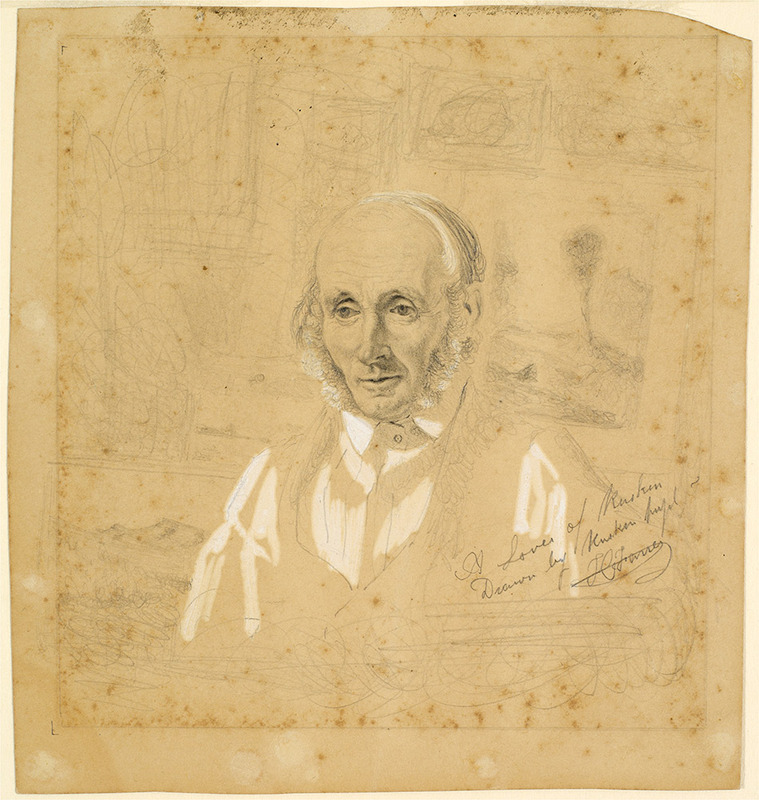 The founding meeting of the Association took place at the height of the Civil War—just days after Abraham Lincoln had issued the Emancipation Proclamation. 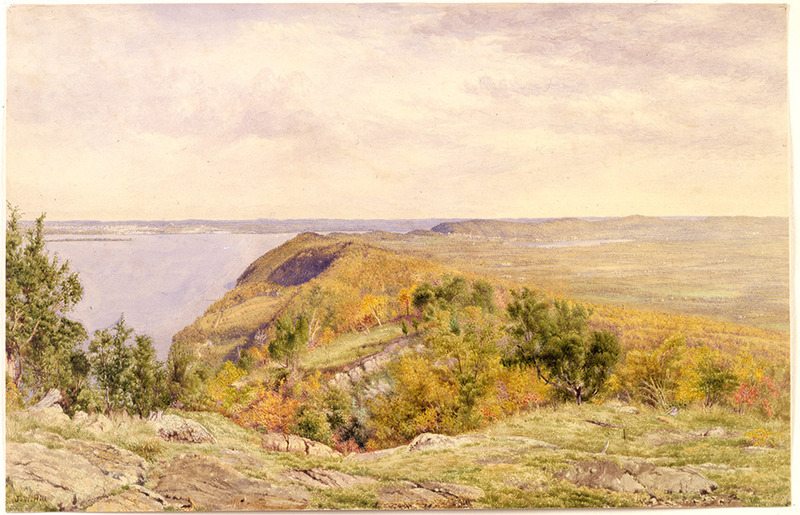 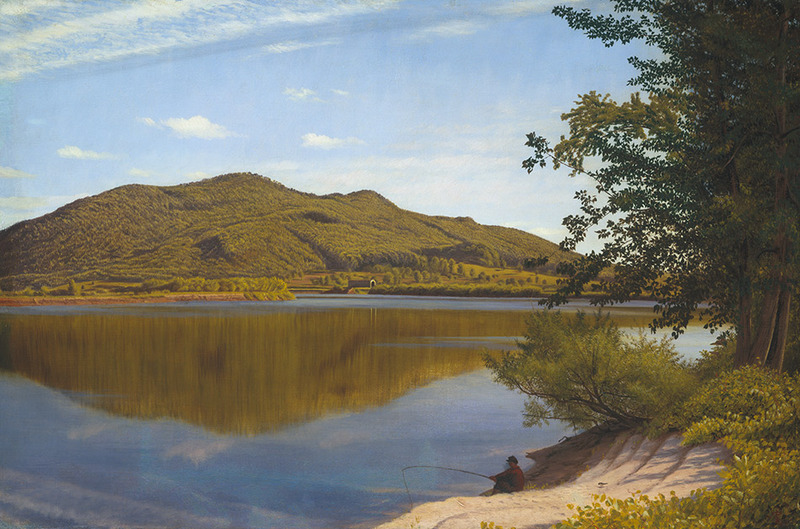 Coded references to the war are present in several detailed landscape paintings that do not appear—at first glance—to carry symbolic meaning, including William Trost Richards’s A Neglected Corner of the Wheatfield (1865) and Charles Herbert Moore’s Hudson River, Above Catskill (1865). 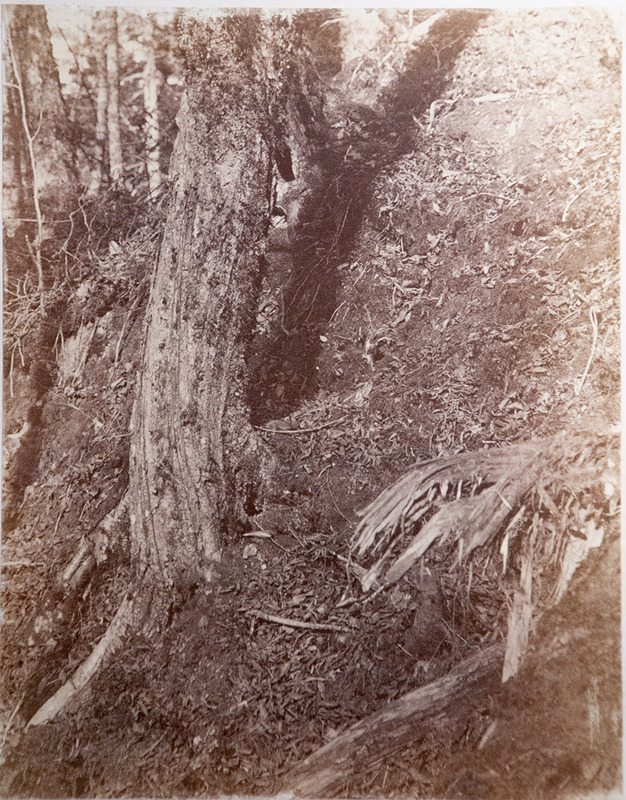 Both works resonate with a range of explicit and hidden messages related to the war. 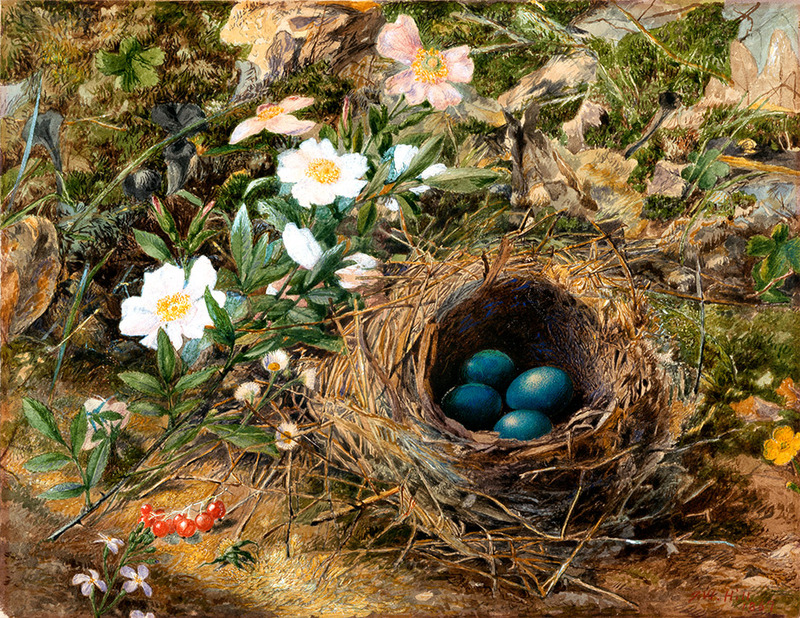 During the heyday of the movement in the mid-1860s, the realists’ hyper-detailed and vividly colored oil paintings and watercolors were interpreted by the partisan critical voices of The New Path as vibrant agents promoting reform when displayed among conventional works. 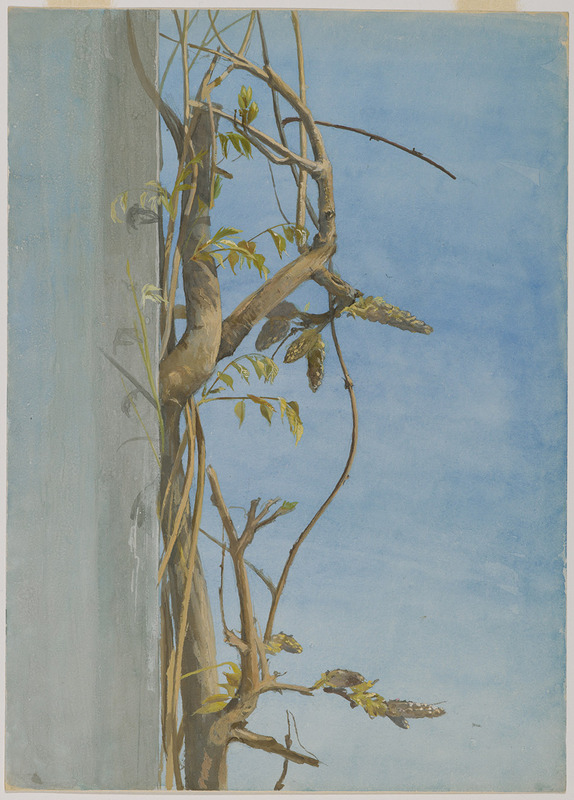 Fidelia Bridges, “Wisteria on a Wall”, 1870s, watercolor on paper, overall: 35.56 x 25.56 cm (14 x 10 1/16 in.) 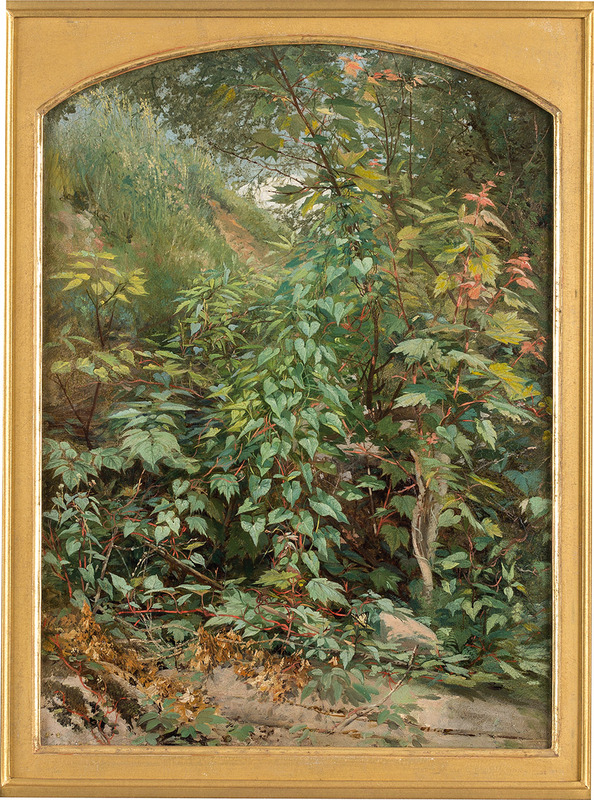 framed: 60.96 x 45.72 x 3.81 cm (24 x 18 x 1 1/2 in.) 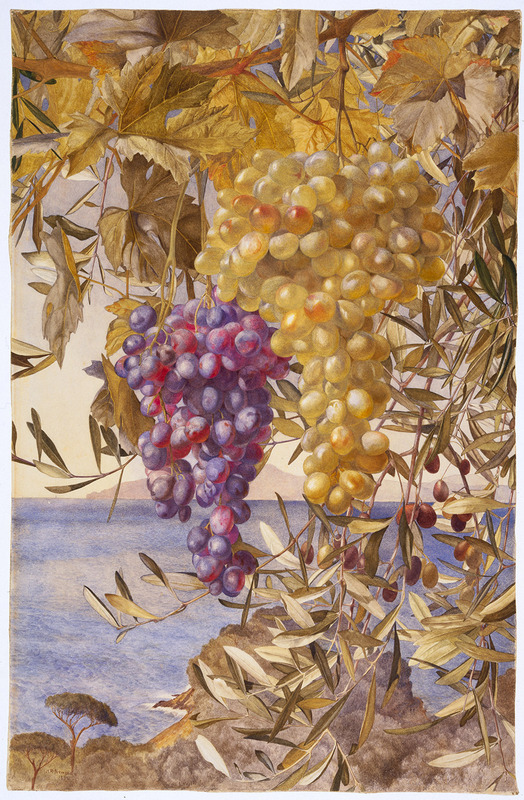 Brooklyn Museum, New York, Gift of Mr. and Mrs. O. Kelley Anderson, Jr.
Was founded in January 1863 to promote Ruskin’s teachings. 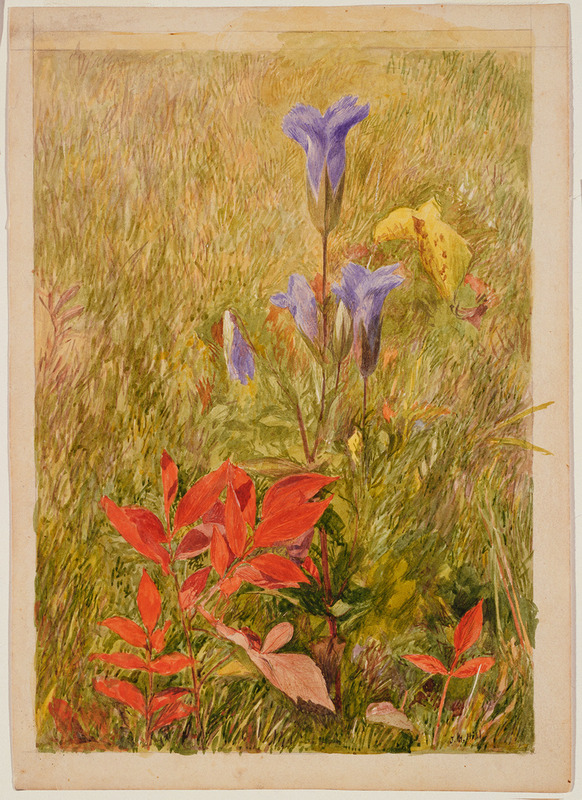 Member artists not only recorded the natural world with strict fidelity, as Ruskin advocated, but also created a number of works that included rich political subtexts referencing the ongoing war. 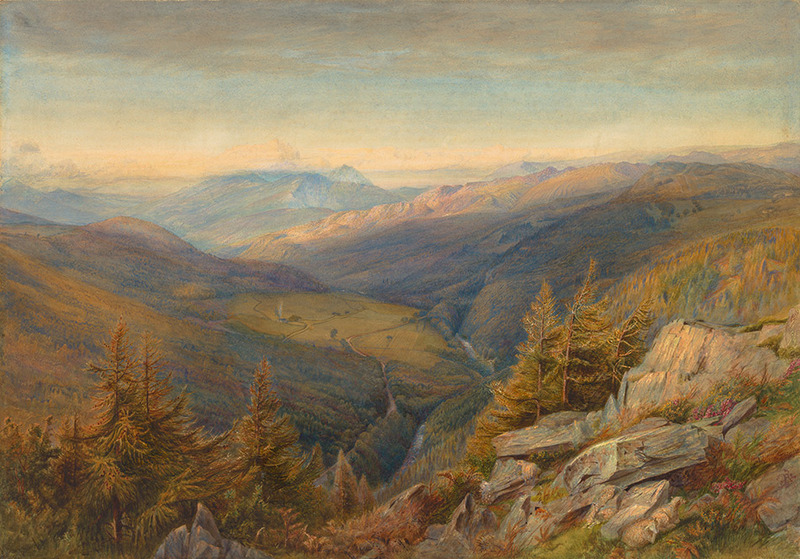 Thomas Charles Farrer (1839–1891), a young British expatriate who had studied in London with Ruskin and the Pre-Raphaelite painter Dante Gabriel Rossetti (1828–1882), became the leader of this eclectic group. 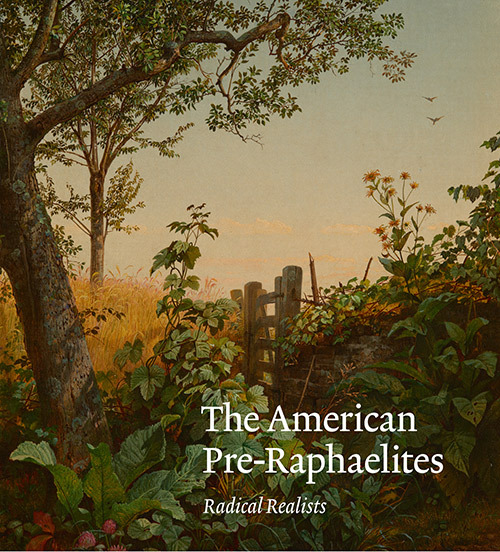 Other “radical realists” hailed by the Association’s journal, The New Path, as America’s modern painters are included in the exhibition: John Henry Hill (1839–1922); John William Hill (1812–1879); Charles Herbert Moore (1840–1930); Henry Roderick Newman (1843–1917); Robert J. Pattison (1838–1903); and William Trost Richards (1833–1905). 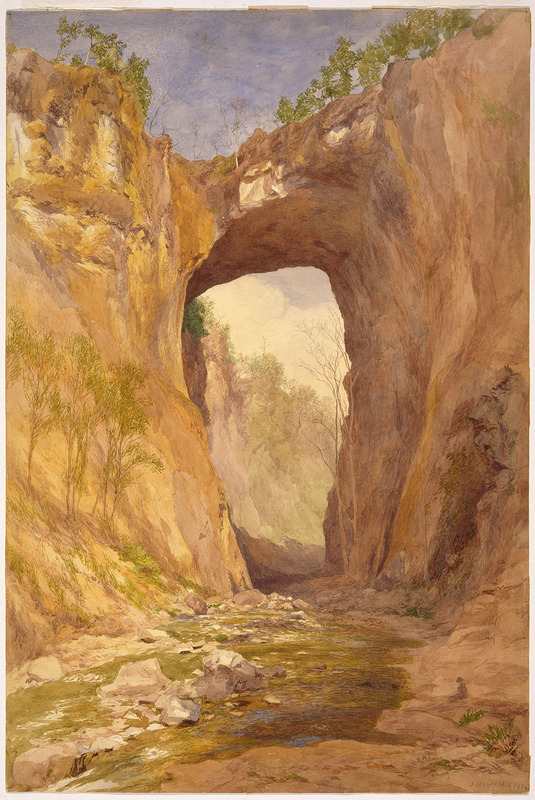 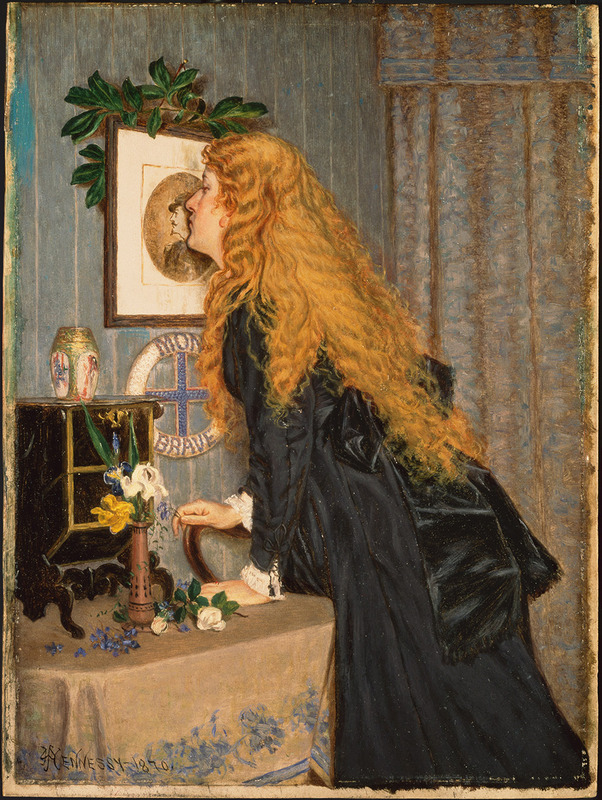 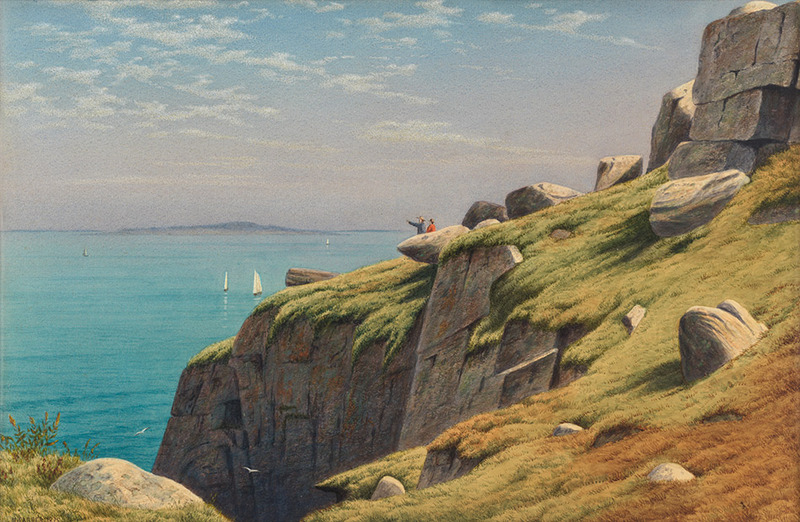 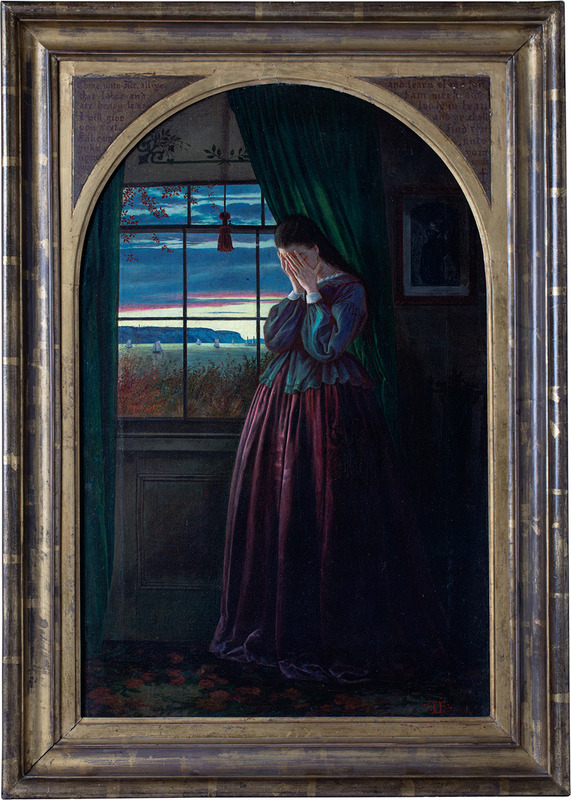 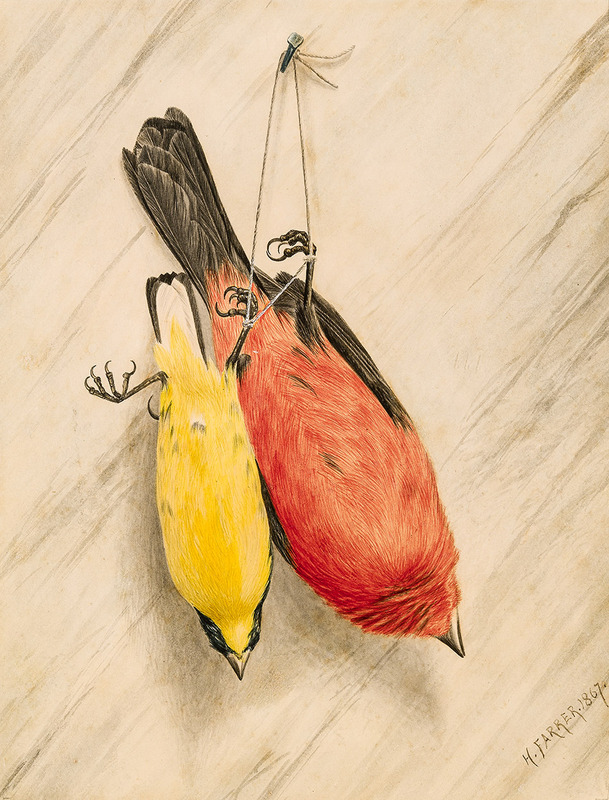 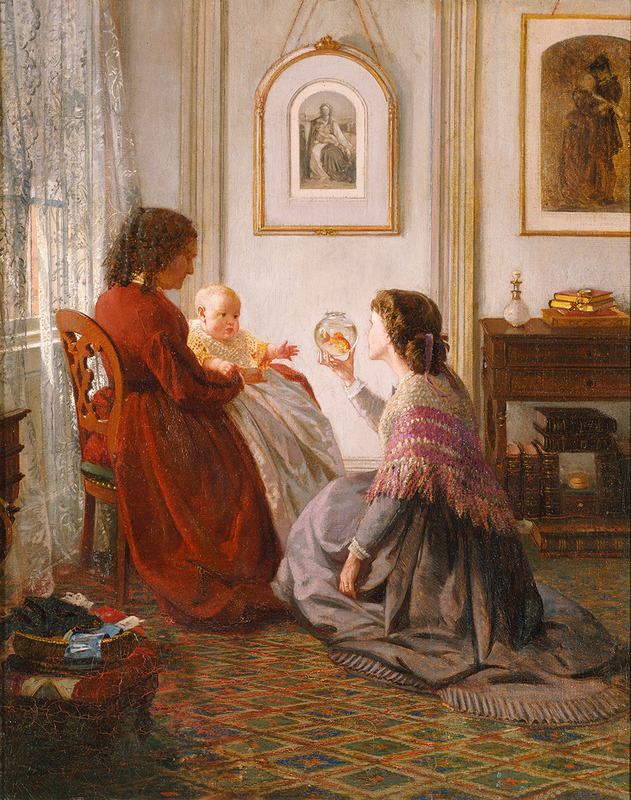 Nonmember artists who were attracted by Ruskin’s ideas and felt the Association’s influence are also represented in the exhibition including Fidelia Bridges (1834–1923), the best known among Ruskinian women artists; Robert B. Brandegee (1849–1922); Henry Farrer (1844–1903), Thomas’s brother; William John Hennessy (1839–1917); Aaron Draper Shattuck (1832–1928); and William James Stillman (1828-1901). 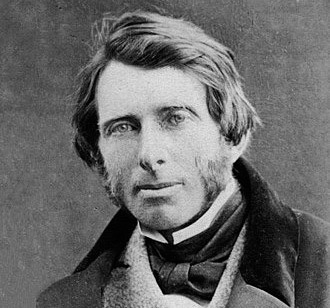 Several works by John Ruskin himself introduce the exhibition. 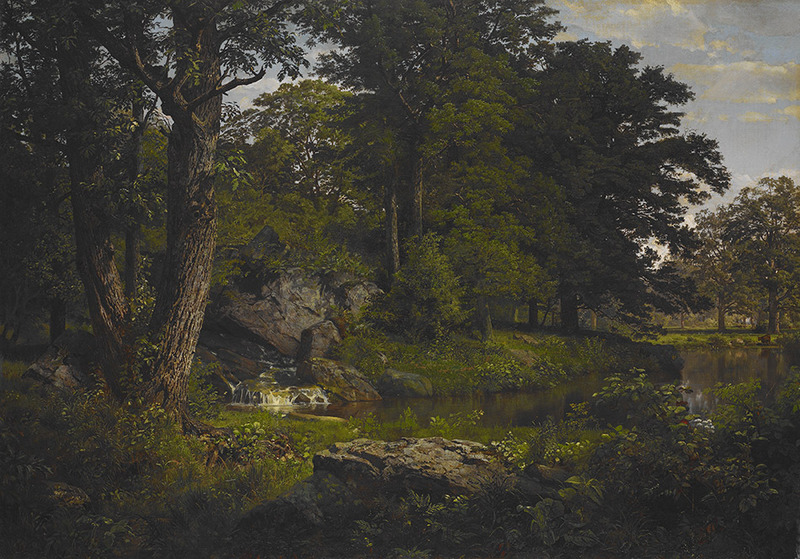 American and British paintings at the National Gallery of Art. 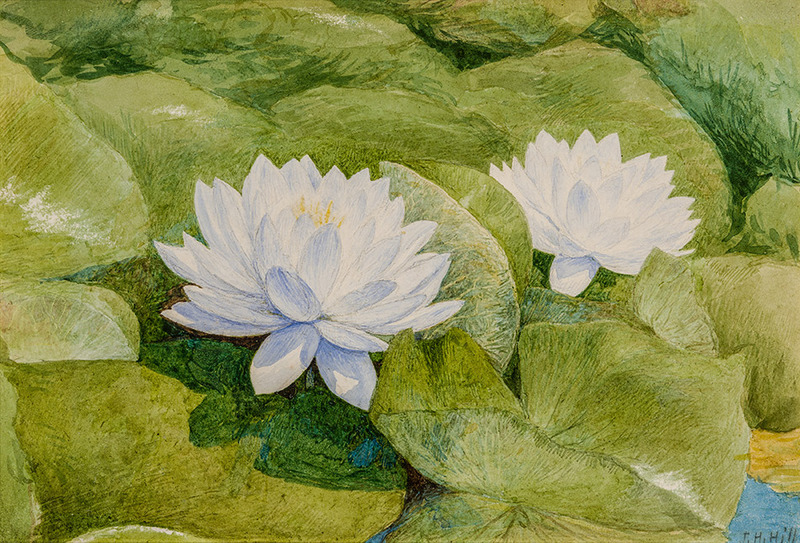 from the Terra Foundation for American Art. 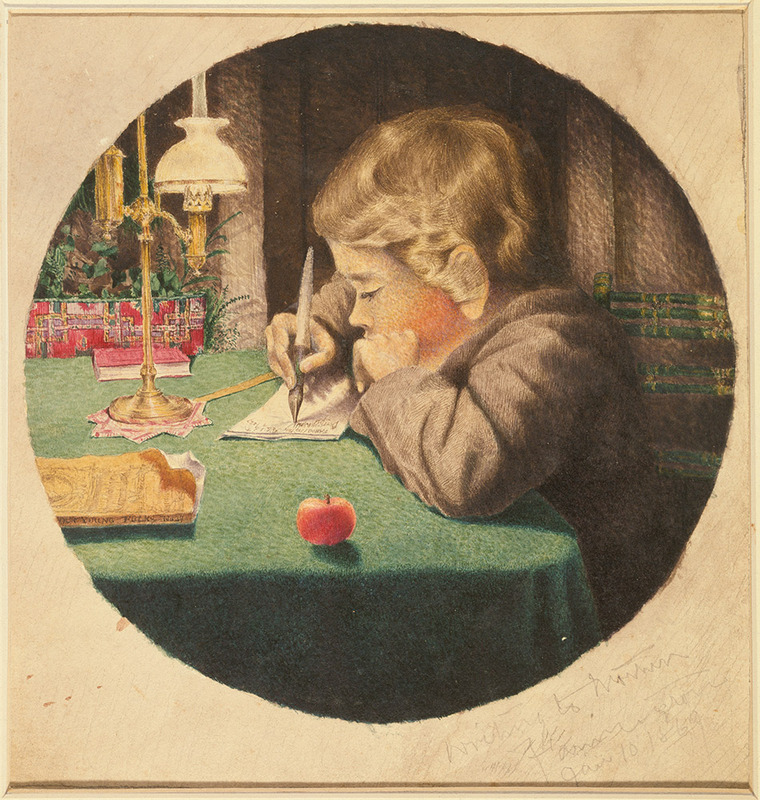 Major support provided by the Henry Luce Foundation. 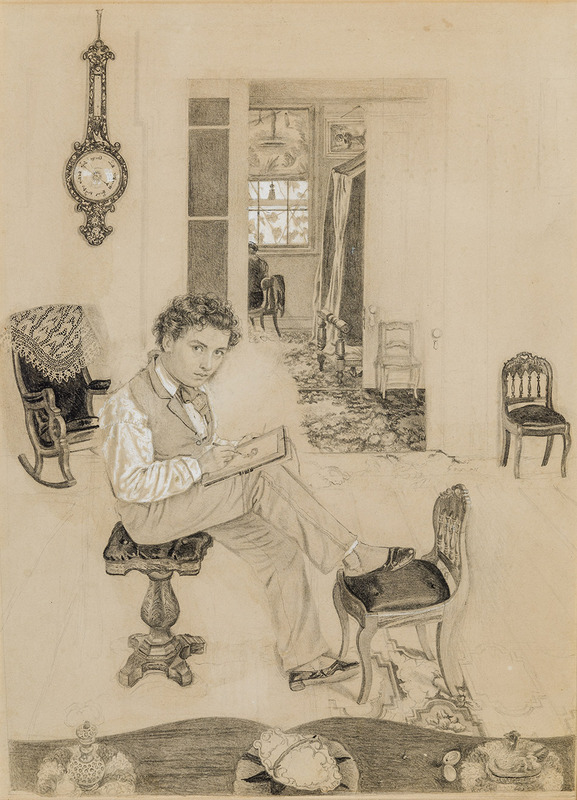 Additional funding is provided by The Mr. and Mrs. Raymond J. Horowitz Foundation for the Arts. 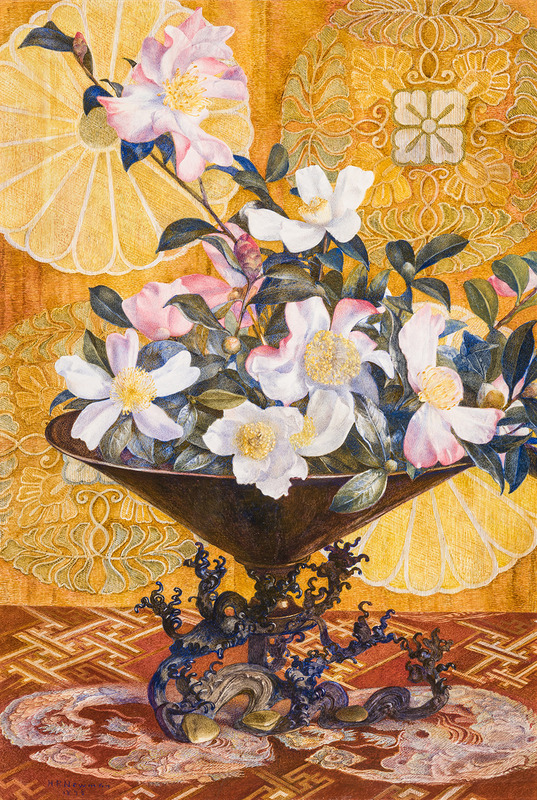 Fully illustrated 300-page exhibition catalog is published by Yale University Press. 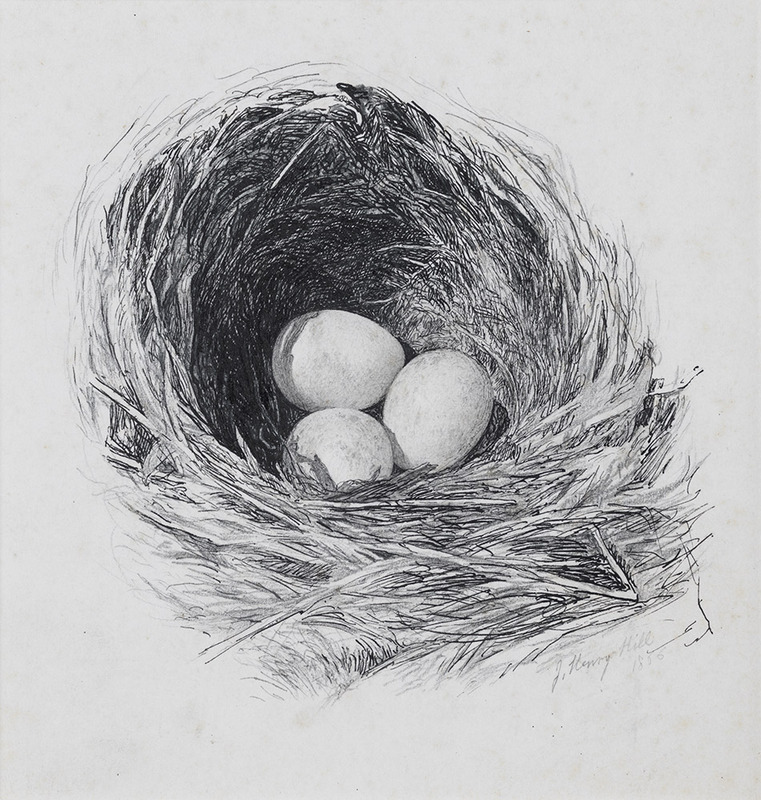 It includes revealing and wide-ranging essays by Linda S. Ferber, Tim Barringer, Barbara Dayer Gallati, Sophie Lynford, Mark D. Mitchell, Janice Simon, and Diane Waggoner. 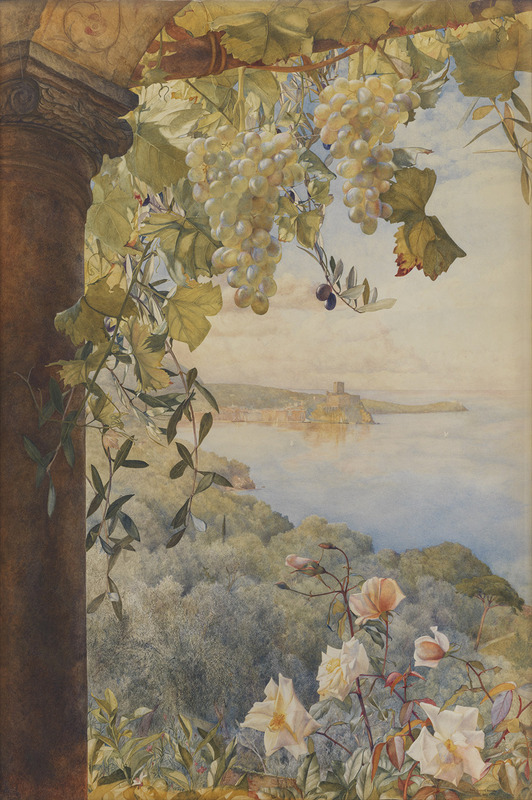 Featuring the work of artists such as Fidelia Bridges, Henry and Thomas Charles Farrer, John William Hill, John Henry Hill, Charles Herbert Moore, Henry Roderick Newman, Robert J. Pattison, William Trost Richards, William J. Stillman, and John Ruskin, this generously illustrated volume explores the influence of Ruskin on the American artists, the role of watercolor and photography in their work, symbolism and veiled references to the Civil War, and much more.